riding to military use and everything in between, the process can seem even more difficult and frustrating. But it certainly does help to know which eye wear brands offer the most bang for your buck, so to speak. After all, you wouldn’t want to invest in a pair of safety glasses only to discover that they don’t offer the protective features you need or are not as high quality as you expected them to be. That is why we are here to help ensure your shopping process is a little easier. In this post, we will introduce you to some of the best and most popular safety eye wear brands and share with you what makes them stand out from the rest of their competitors. Smith Optics Elite Prescription Eye Wear: Smith Optics Elite, a high end protective eye wear brand that has been in existence since 1965, has provided men and women with a variety of cutting edge safety glasses that sharpen vision and shield the eyes. They produce several design styles including protective eye wear, protective eye shields, protective goggles, prescription eye wear, and non-Rx sunglasses. Smith Optics Elite has proven to be a brand most suitable for hunting, military use, and target practice but can also be useful for several other purposes. There are multiple prescription eye wear options to choose from that start as low as $80 and are ideal for everything from patrol work to small game hunting. The prescription glasses originally come with a clear lens, but there is the option to purchase additional lenses in shades such as yellow, gray, brown, and orange. Finally, the prescription lenses cater to anyone with single vision or double vision. If you are looking for safety eye wear with some added protection, the protective eye shields are the way to go. This eye wear option offers fuller coverage around the eyes and provides special features like super easy and fast lens changing capabilities. Art-Craft Workforce: This internationally recognized brand has been producing a seemingly endless variety of protective eye wear including such styles as AM Series, Non Conductive, Stainless Steel, Steel Flex, Benchmark, Prestige, Custom, Titanium, Dress Frames, and Fashion Flex. While the safety glasses such as Titanium and Stainless Steel are pretty self-explanatory, let’s take a look at some of the lesser known options by Art-Craft Workforce. Benchmark, for example, offers stylish, unisex safety glasses that are best suited for indoor use. They serve the purpose of enhancing vision when trying to magnify objects or read fine print. 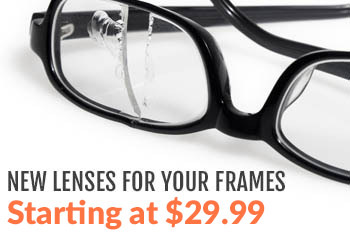 These glasses can also accommodate men and women who require a corrective lens. An eye wear option by Art-Craft Workforce that is better suited for outdoor activities or more rigorous, potentially dangerous work like tactical tree projects or construction is the Non Conductive eye wear product. These are heavy duty glasses that will last a long time with the proper care and are built with an extremely durable polycarbonate material. Thanks to the sturdy frame and strong lens material, these glasses are designed with high impact resistant protection features. 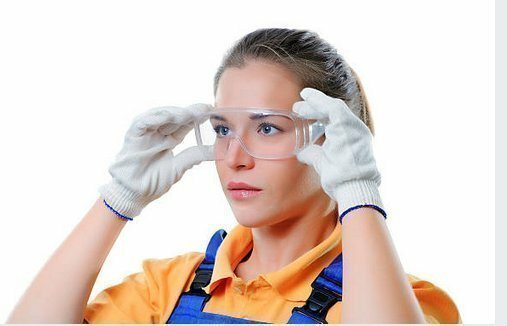 These safety glasses are ideal for outdoor work like tree trimming, construction, roofing, and other potentially hazardous activities. Fuglies Prescription Eye Wear: If you want eye wear that offers you a sharp corrective lens and makes you look like a dangerous, highly skilled international spy at the same time, Fuglies Prescription Eye Wear is the way to go. These high-tech, cutting edge glasses offer sleek, all-black style and are an excellent choice for tactical work and military use, but don’t let the super cool design fool you; these safety glasses are also extremely comfortable and designed for long hours of wear without ever irritating the eye, ears, or face. The wraparound frame style offers greater functionality, support, and security than most other brands. There are some other wraparound style options offered by Fuglies that come with super soft foam inserts for the eye area as well as an adjustable and easily removable head strap. The foam inserts not only offer more comfort, they ensure that no unwanted elements such as sweat, dirt, debris, or harsh winds get into the eyes. The extra durable safety glasses can be worn for all occasions but are particularly beneficial for anyone who does a lot of water skiing, jet skiing, wake boarding, snowboarding, or snow skiing. They are also great for long-distance cycling and motorcycle riding. ESS Prescription Eye Wear: Possibly one of the best protective eye wear options for military use, ESS (Eye Safety Systems, Inc.) Eye Wear offers high end safety features for multiple purposes. 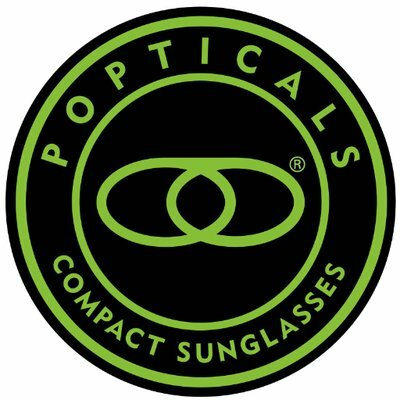 This brand is so high end, in fact, that it is the only officially approved eye wear brand used by the United States Marine Corps. In addition to military use, ESS Prescription Eye Wear is also a great option for fire and rescue, competitive target shooting, and police work. The ESS Prescription Eye Wear brand has been highly regarded for many years and is currently sold in over 100 countries across the globe. Some of the most popular products by ESS Prescription Eye Wear include Ballistic Sunglasses, Ice Series, Cross-Series, Military Tactical Goggles, Structural Fire Goggles, Wildland Fire And Rescue Goggles, All Prescription ESS, and Non-Rx Sunglasses. The Ballistic Sunglasses are designed with state-of-the-art, high impact-resistant materials that accommodate high quality eye protection in harsh and extreme environments. The frame is constructed to allow fast lens changes and they come with a non-slip rubberized nose bridge and temple bars. The lenses provide distortion-free clarity, complete UVA and UVB protection, and an anti-scratch protective coating. CAT Prescription Safety Glasses: Although they might not be as edgy as some of the previously mentioned safety eye wear options, these are arguably some of the most high-end, functional safety glasses on the market. CAT Prescription Safety Glasses, part of the Caterpillar brand, offers prescription lenses, safety glasses with added protective side shields, and non-Rx safety glasses. The added side shields offer extra appeal because they can easily be integrated, adjusted, and removed in mere seconds and provide great protection for the eyes and the area around the eyes. Some other attractive features offered by CAT Prescription Safety Glasses include silicone nose pads that combat slipping tendencies, monoblock spring hinges, a durable double bridge design, and multiple prescription options including single vision, double vision, and progressive bifocals. You can also choose varying lens materials such as high end plastic, trivex, and polycarbonate. Finally, extra protection can be added to the lenses including safety features like UV protection, anti-scratch coating, anti-fog coating, and an anti-reflective coating. Are you looking for other exceptional eye wear brands that effectively protect your eyes from hazardous elements, improve clarity and range of vision, and offer several other safety features? Feel free to contact us today with any questions or comments that you might have. Don’t forget to check out a few of our previous blog posts for more free resources or visit our official website to view our extensive selection of safety eye wear and other safety products.